Connectedness is a powerful thing and I seem to talk almost daily about the power and joy connection can bring. Doesn’t it feel good when another human shows us they see us, can hear what we have to say and they they care and value our thoughts, feelings and ideas? This has a huge impact on our wellbeing and in turn, our mental and physical health. Think about it, if we feel as though we are understood, being listened to and valued it boosts our self esteem our self worth and our confidence. In Early Years and educational settings we care for and nurture children everyday, so we are constantly connecting all of the time in many different ways, supporting children’s emotional wellbeing. Children need adults to support their emotional development to promote emotional literacy, to flourish and to thrive they need to hear praise and encouragement from emotionally responsive empathetic and compassionate caregivers. This enables them to learn how to regulate their own emotions and begin manage and identify their feelings and behaviour. As we grow up we should require less and less support from caregivers to boost our self esteem as we should have learned how to do it for ourselves. Yet so often as adults we don’t know what emotional literacy and intelligence mean and I joke to others I must have missed this lesson at school! We spend so much time at work and yet in the workplace where connectedness is important – especially when working with children, our connectedness as adults can sometimes lose it’s magic. If we have not managed to develop these skills for ourselves, if our self esteem is low or our confidence has dipped it impacts on how we think and feel about ourselves and how we respond to others. 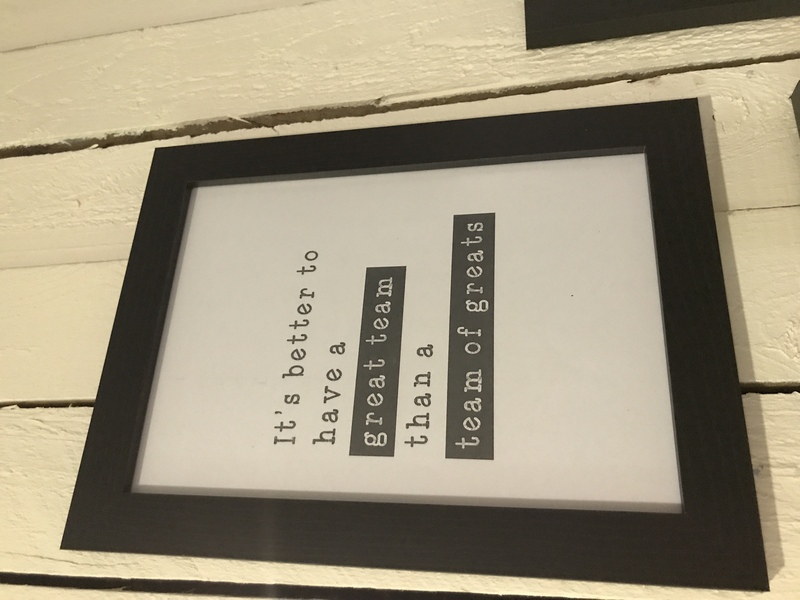 The pressures of work load, paper work, ratios, staffing, observations, assessment, all get in the way and do the opposite of what we are trying to achieve! It stresses us out, depletes our energy and stops us feeling fulfilled and accomplished in our roles. How can we get that connectedness back? Let’s start with empathy. Taking that time to connect with another person and listening without judgement, putting yourself in their shoes. I’m talking about mentally healthy work places that promote a culture of kindness and compassion. 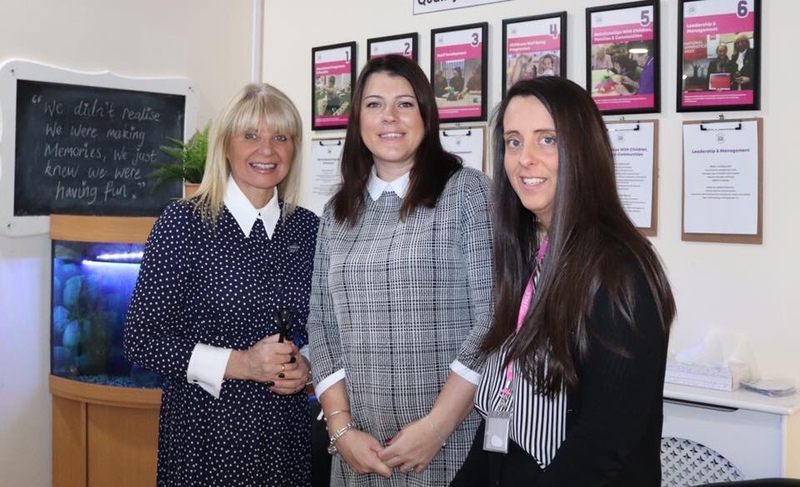 I had the pleasure of visiting kidzrus day nursery at media city in Salford last week and spent the morning with Nicola and Gemma. My visit actually came about from the power of connection as Nicola reached out to me and sent me a message following Early Years Wellbeing Week. Nicola had seen a tweet of mine about #EYWellbeingWeek and ensured all of her nurseries joined in with the week long initiative to think about our mental health and wellbeing for staff, children and families. Kidzrus have continued to embed wellbeing into their plans and as part of their focus and have big plans for the future. Meeting Nicola and Gemma and hearing their passion for Early Years and the commitment they have to ongoing staff professional develop and self evaluation was inspirational. 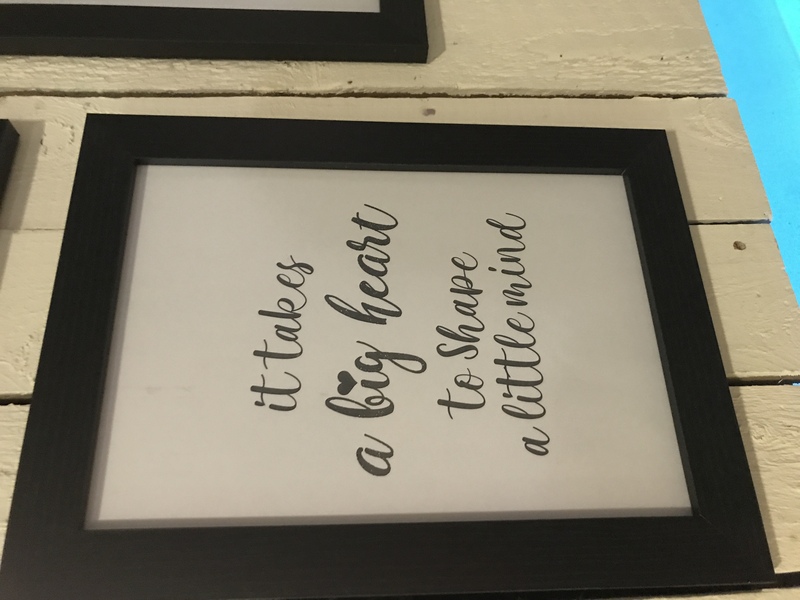 Having never met before we found ourselves drinking tea and chatting all things Early Years, and at one point we all had tears in our eyes as we shared stories and why we all love working in Early Years and why do what we do. 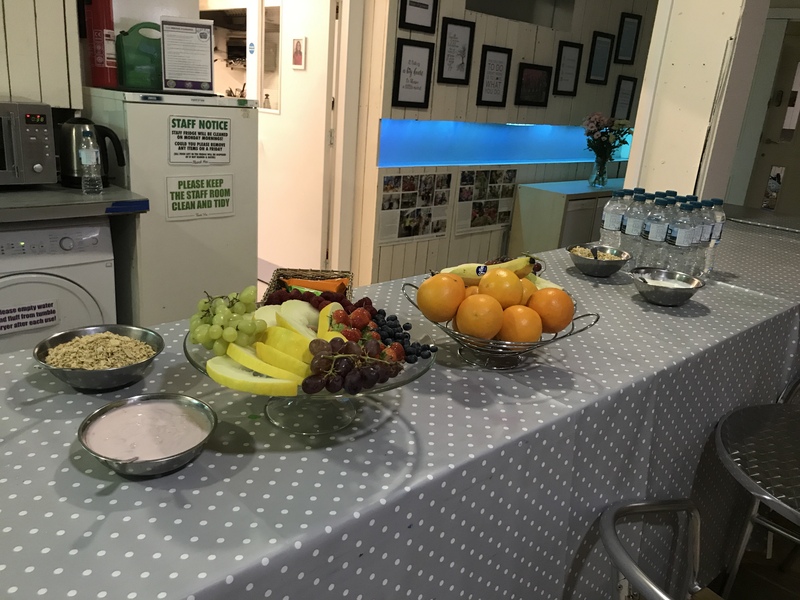 Before I left I had a peek inside their staff room, which was set up for feel good Friday, with snacks, fruit and water for staff. 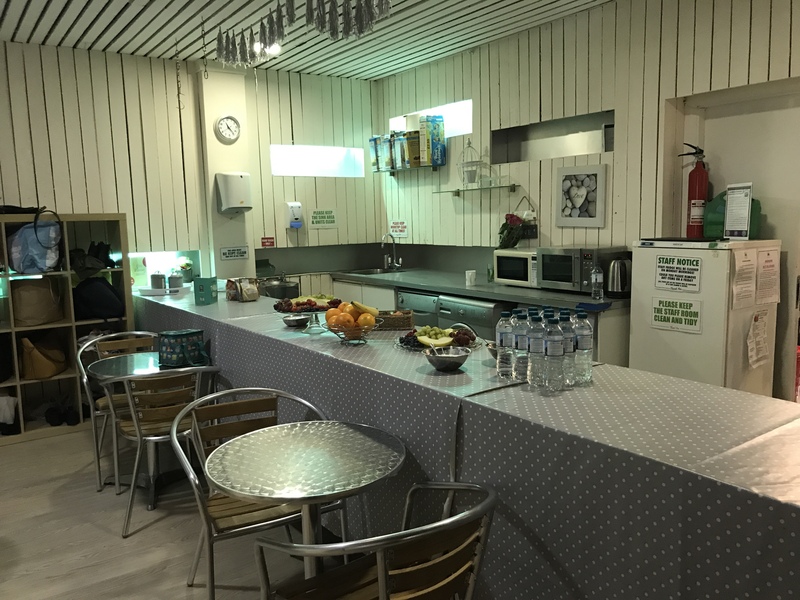 It was such a welcoming, calm space for staff to enjoy their breaks in comfort away from the hustle and bustle of a busy nursery. Quite often I spend time in settings that don’t have staff rooms or proper provisions for staff to have comfortable breaks, or space to store belongings, or hang coats. 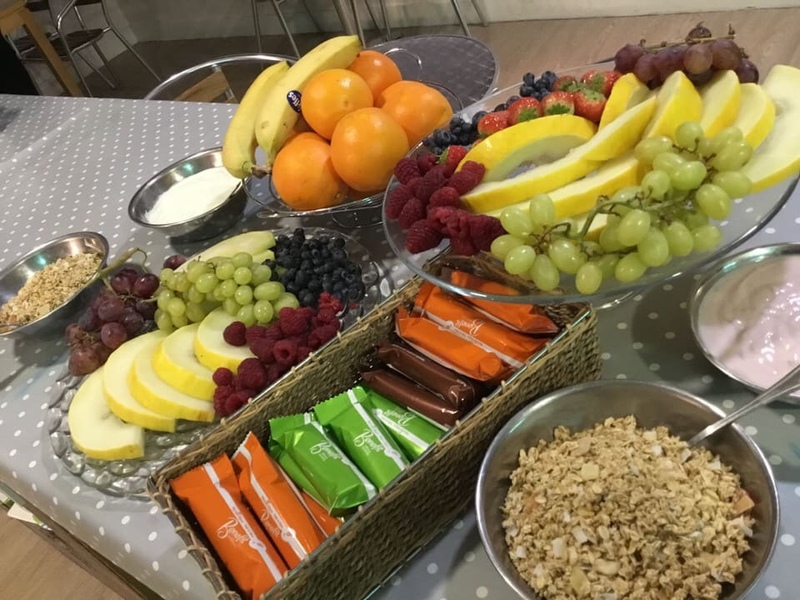 So when we’re thinking about wellbeing in the workplace and how we can create mentally healthy work places, how about dedicating time, care and consideration to the environment and amenities for staff, in the same way we do for children? 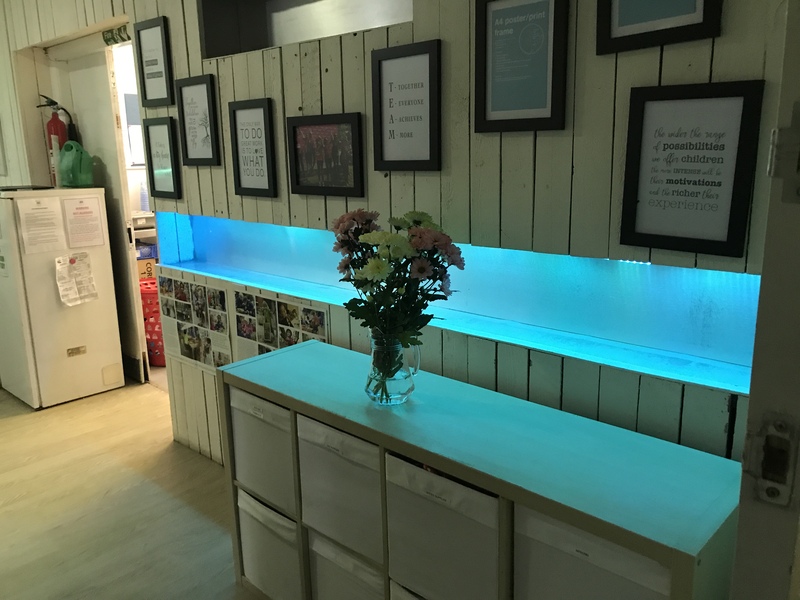 Do you have a place, a safe space dedicated to staff, where they talk, relax, rest and unwind and to have those precious opportunities to connect.